What can parents do to boost motivation in swimming lessons? One of the hardest parts of getting your children to go swimming isn’t the initial dunk; it’s getting them out of the house smiling and excited, week in week out! So, what can you do as a parent or guardian to help keep your little ones enthusiastic for lessons? 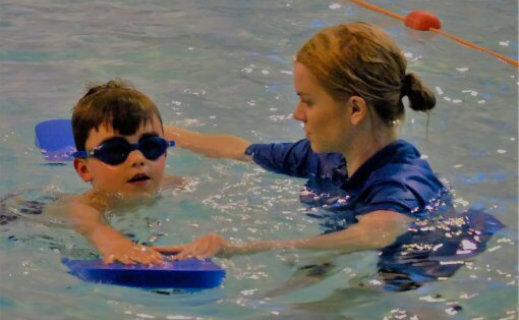 In this blog we offer some advice on how you can boost your little ones’ motivation in swimming lessons, banishing those tears and bettering their behaviour in lessons. 1. Get involved in your children’s lessons! Letting your children know how much you love to watch them swim is one of the best things you can do. Kids love to shout out “Mum/Dad, look at me go!” So, make sure you’re there watching them. It’ll make their day knowing that you’re watching them, rather than reading a book, browsing the internet on your phone, or worse, not being there at all! Be on the side of the pool encouraging them onwards! 2. Don’t distract them from the lessons! Although we’ve just said to be present and encourage your children onwards, try not to distract them whilst they are swimming or listening to the teacher. ­­­These are some of the most important times in the pool, and distracting you children from the task at hand can get them into trouble. 3. Don’t criticise their technique! Although it can be nice for children to hear feedback from their parents, you should put your energy into congratulating them on their swim rather than commenting on their technique. Leave the criticism to the teacher. If your children think you are going to comment on their stroke after lessons they may be less willing to go. 4. Go swimming with your children outside of lessons! If you can take your little ones swimming outside of the lessons then do so! This is a great way to spend some quality time with your children, and will make them want to improve so they can go swimming with you more often. 5. As a last resort – consider bribery! Bribery is a controversial matter in the parenting world! However, a little promise of a treat here or there can go a long way! If your child gets distracted or disruptive in lessons, the promise of a small treat can go a long way in getting them to behave better in classes, and helping to keep them enthusiastic! Consider rewarding achievements and good behaviour with a sticker on a reward chart, a trip to their favourite park after lessons, or (dare I say) a small packet of sweets!